Are you new in town? Do you have a toothache but don’t know where to turn? Whatever the reasoning is, it is never easy to find someone to take care of your smile. And while the task itself can be quite overwhelming at first, choosing a dentist to suit your needs usually results in a long-term relationship. So, how can you make this process as painless as possible? Always take word-of-mouth into consideration. Do your research. There are lots of resources available to you that can give you first-hand opinions and inputs from people around you regarding their dentists. You can also look to your local dental society for a list of recommended dentists in your area. Using a search engine online, look for a dentist catered to your specific needs. Their websites should show you a list of procedures that are offered at certain practices. If you’re interested in learning more about dental specialties, contact Dr. Larry Lieberman, DDS at 727-785-8017 to schedule a consultation today. Or visit www.dentist-lieberman.com for additional information. Dr. Larry Lieberman proudly accepts patients from Palm Harbor and all surrounding areas. This entry was posted in Family Dentist, Family Dentistry, General Dentistry, Preventive Dentistry, Restorative Dentistry, Sleep Dentistry and tagged Cosmetic Dentist, dental care, dental health, dental specialties, dental tips, dentist, Dr. Larry Lieberman DDS, Dr. Lieberman, Family Dentist, find a dentist, general dentistry, locate a dentist, Oral Care, Oral Health, Palm Harbor Dentist, Palm Harbor FL, preventative care, Restorative Dentist on November 21, 2018 by admin. It is important for us to get enough sleep every night. Not only does it help us manage our daily tasks, but it also affects how our overall health is looked after. Not enough sleep and your health will slowly begin to take a turn a turn for the worse. But why is it that you are having a tough time sleeping? Is it your lifestyle or is it something else? If you find that you are waking up with headaches, jaw pain or something related to your face, you may be developing a sleep disorder known as Temporomandibular Joint Disorder. If would be a good idea to visit your dental professional as soon as possible to find out if this is the case. If left untreated, you will begin to develop other dental issues as a result. Evading actions such as yawning, singing, or excessive chewing. Learning new stress relieving techniques including but not limited to: Meditation, Breathing Exercises, or Personal stress relievers. Formulating an exercise plan in order to increase our pain tolerance. TMJ is nothing to worry too much about if you take care of it early. Dr. Lieberman highly encourages patients suffering from TMJ to follow these few techniques in order to alleviate TMJ pain and symptoms. If you’re interested in learning more about TMJ, contact Dr. Larry Lieberman, DDS at 727-785-8017 to schedule a consultation today. Or visit www.dentist-lieberman.com for additional information. This entry was posted in Family Dentist, Family Dentistry, General Dentistry, Oral Health, Preventive Dentistry, Sleep Dentistry, TMJ, Tooth Pain and tagged bad dental habits, dental care, Dr. Larry Lieberman DDS, Dr. Lieberman, Family Dentist, family dentistry, general dentistry, Oral Care, Oral Hygiene, Palm Harbor, Palm Harbor Dentist, Palm Harbor FL, preventative care, preventative dentistry, preventive dentistry, Sleep Dentistry, sleep disorder, sleep issues, sleep problems, Temporomandibular, temporomandibular joint, Temporomandibular Joint Disorder, TMJ, TMJ disorder on August 18, 2018 by admin. We are smack dab in the middle of summer vacation and you have lots of fun events planned for your family and friends in the upcoming weeks before the next school year starts. And not to burst your fun bubble, but it is also a great time to plan a fun family activity – to the dentist for your family’s bi-annual check-ups. Yes, we know you aren’t ready to get ready for heading back to school but heading over to the family dentist would be advantageous to check on any dental issues that may be occurring in your tiny human’s mouth. Nothing makes a parent happier than seeing their child’s smile. So, avoid trusting just any dentist with your family’s dental problems. With a family dentist, your family’s oral health will be improved and enhanced like never before. 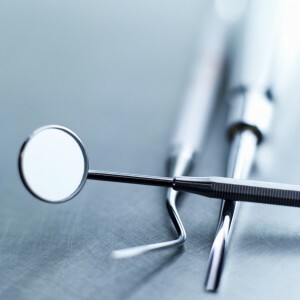 If you’re interested in learning more about family dentistry, contact Dr. Larry Lieberman, DDS at 727-785-8017 to schedule a consultation today or visit www.dentist-lieberman.com. This entry was posted in Bonding, Cosmetic Dentistry, Crowns, Dental Bridge, Dental Implants, Dentures, Family Dentist, Family Dentistry, Fillings, General Dentistry, Laser Dentistry, Oral Health, Preventive Dentistry, Prosthodontics, Restorative Dentistry, Sleep Dentistry, Teeth Whitening, TMJ, Tooth Decay, Veneers and tagged Bonding, Cosmetic Dentist, Cosmetic Dentistry, Crowns and Bridges, dental bridges, dental care, dental examination, dental health, dental procedures, dental veneers, extractions, Family Dentist, family dentistry, Fillings, general dentistry, North Palm Harbor FL, Oral Care, Oral Health, Palm Harbor, Palm Harbor Dentist, Palm Harbor FL, Periodontal Disease, Porcelain Veneers, preventative dentistry, preventive dentistry, Restorative Dentist, Restorative Dentistry, root canals, smile makeover, Teeth Whitening, tooth decay, tooth extractions, Veneers, white teeth, wisdom teeth, wisdom tooth extraction on July 30, 2018 by admin. Has your dentist ever told you that you have a bad bite? Have you ever wondered what that exactly entails? After all, you are eating just fine. So, what is going on inside your mouth giving you a bad name? Don’t worry – there is a perfectly good explanation. A “bad bite” occurs when your teeth are misaligned, which causes the jaw muscles to apply extra pressure in order to compensate for the poor alignment of your teeth. This increased stress on the surface of the teeth leads to cracks and chips, and jaw pains. You know those headaches you get every so often? 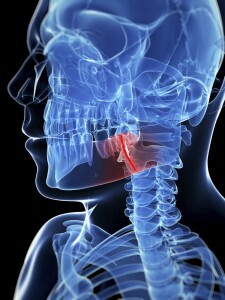 There is a possibility it is due to the alignment of your jaw. If you are experience any of the listed symptoms, it is essential to consult a dental professional about treatment options to diminish your tooth, jaw, and headaches caused by TMJ. Having a dental exam will not only diagnose what is going on inside your mouth, but why it’s happening and how to repair any damage. This entry was posted in Family Dentist, Family Dentistry, General Dentistry, Oral Health, Preventive Dentistry, Sleep Dentistry, TMJ and tagged dental restorations, ear pain, headache, jaw, jaw joint, jaw pain, North Palm Harbor FL, Oral Care, Palm Harbor Dentist, Palm Harbor FL, preventative care, preventative dentistry, preventive dentistry, Sleep Dentistry, Temporomandibular, temporomandibular joint, TMJ, TMJ disorder on June 20, 2018 by admin. Good quality sleep is vital to everyday health. Poor sleep can cause loss of concentration, headaches and low energy. There are times it is possible to even lead to increased rates of infection, cardiovascular problems, and hypertension. One reason you may be experiencing poor quality sleep is a condition known as sleep apnea. Sleep apnea is a sleep disorder where sleep is interrupted by irregular breathing while in your various sleep stages. It can take the form of breathing pause (apnea) or very shallow breathing (hypopnea). When breathing is paused, carbon dioxide builds up in the blood stream, and the brain signals the body to wake up and breath, causing the interruption in sleep. The most common form of sleep apnea is obstructive sleep apnea (OPA), which is caused by a physical obstruction of the airway while sleeping. When you snore, obstructive sleep apnea causes the muscles around the airway to relax and narrow, causing the air moving through the airway to make noise. Snoring is not a guaranteed sign of sleep apnea, and a sleep test may be in order. A way to diagnose obstructive sleep apnea is an overnight sleep study, where doctors will record your airflow, heart rate, oxygen and brain activity to determine whether breathing is impacting your sleep. If a sleeping issue is diagnosed, treatment options are available. Various techniques can help with airflow, like lifestyle changes, medical devices, or surgery. So, as you are reviewing your healthy resolutions and making great lifestyle changes, consider thinking about making sleep a priority in your day-to-day life. If you’re interested in learning more about sleep apnea, contact Dr. Larry Lieberman, DDS at 727-785-8017 to schedule a consultation today. Or visit www.dentist-lieberman.com for additional information. This entry was posted in Family Dentist, Family Dentistry, General Dentistry, Sleep Dentistry and tagged Dr. Larry Lieberman DDS, OSA, Palm Harbor, Palm Harbor Dentist, preventative care, preventive dentistry, sleep apnea, Sleep Dentistry, sleep disorders, sleeping disorders on January 31, 2018 by admin. Myth 1: Sedation dentistry is only for complex surgical procedures. Fact: False. Sedation dentistry can be used for any dental procedure. Though less frequent, sedation dentistry can be used for as something as basic as professional teeth cleaning and dental exams for patients that have dental fears. Bottom line is that you can be relaxed during any dental procedure. Myth 2: Sedation dentistry is only for patients with dental fears. Fact: While sedation dentistry is widely known for easing dental fears, there are also other reasons it is used. Sedation dentistry can be helpful for patients with sensitive gag reflexes, those who have trouble sitting still for long periods, those who are having multiple dental procedures done at once, and those with special needs. Myth 3: Sedation dentistry is unsafe. Fact: Patients are not entirely asleep the way they would be with general anesthesia. Using sedation in dentistry is entirely safe, as long as it is being administrated by a trained professional. Now that you are little more informed about sedation dentistry, you should already feel more at ease about making a trip to your dentist. If you’re interested in learning more about sedation dentistry, contact Dr. Larry Lieberman, DDS at 727-785-8017 to schedule a consultation today. Or visit www.dentist-lieberman.com for additional information. This entry was posted in Family Dentistry, General Dentistry, Preventive Dentistry, Sedation, Sleep Dentistry and tagged anesthesia, Family Dentist, family dentistry, general dentistry, Oral Care, Palm Harbor FL, preventative care, relaxation techniques, Sedation, Sedation Dentistry, Sleep Dentistry on October 23, 2017 by admin. Nitrous oxide. Also referred to as laughing gas, nitrous oxide is inhaled through a mask that is placed over your nose to calm your nerves. But you will still need to have someone drive you home after the procedure. Oral sedation. This method involves the patient taking an oral medication the night before and day of the dental procedure. The recovery time for this method is a bit longer than with nitrous oxide. IV sedation. This type of dental sedation is administered into the bloodstream, resulting in immediate relaxation. General anesthesia. This is the method of dental sedation which makes the patient either almost unconscious or fully unconscious during the dental procedure. However, under general anesthesia, the patient cannot be easily awakened until the effects fully wear off. There are many ways you can conquer your dental phobias and get dental work you need. If you suffer from dental anxiety or dental phobia, your dentist will be able to choose the best method of sedation dentistry. This entry was posted in Family Dentistry, General Dentistry, Sedation, Sleep Dentistry and tagged dental anxiety, dental procedures, dental-phobia, general anesthesia, general dentistry, IV Sedation, nitrous oxide, Oral Care, oral sedation, Palm Harbor FL, Sedation, Sedation Dentistry, Sleep Dentistry on August 29, 2017 by admin. Pain in your facial area. Pain in your ears, ringing, as well as congestion. Popping and sometimes pain in the jaw when opening and closing the mouth. Pain and stiffness in the shoulder, back and neck. Numbness in your arms, more specifically your hands and fingers. Patients suffering from TMJ should follow these few techniques in order to alleviate TMJ pain and symptoms. If symptoms worsen, you are encouraged to schedule an appointment immediately with our friendly staff. There are various treatments a sleep specialist can offer. If you’re interested in learning more about TMJ disorder, contact Dr. Larry Lieberman, DDSat 727-785-8017 to schedule a consultation today. Or visit www.dentist-lieberman.com for additional information. This entry was posted in Family Dentistry, General Dentistry, Oral Health, Preventive Dentistry, Sleep Dentistry, TMJ and tagged Cosmetic Dentistry, family dentistry, general dentistry, North Palm Harbor FL, Oral Care, Oral Health, sleep disorder, sleep disorders, Temporomandibular, TMJ, TMJ disorder, Tooth Pain on February 14, 2017 by admin. Sleep apnea is a sleep disorder where sleep is interrupted by irregular breathing while in your various sleep stages. It can take the form of breathing pause (apnea) or very shallow breathing (hypopnea). Both can last from several seconds to minutes, and can occur as much as 30 times per hour. When breathing is paused, carbon dioxide builds up in the blood stream, and the brain signals the body to wake up and breath, causing the interruption in sleep. The most common form of sleep apnea is obstructive sleep apnea (OPA), which is caused by a physical obstruction of the airway while sleeping. When you snore, obstructive sleep apnea causes the muscles around the airway to relax and narrow, causing the air moving through the airway to make noise. Snoring is not a guaranteed sign of sleep apnea, a sleep test may be in order. This entry was posted in Family Dentistry, General Dentistry, Sleep Dentistry and tagged family dentistry, general dentistry, Oral Care, Oral Health, Palm Harbor Dentist, sleep apnea, Sleep Dentistry, sleep study, sleeping disorders, snoring on January 19, 2017 by admin. If you’re one of the many people who suffer from dental anxiety or sensitive gag reflex, you know how it feels when you may need a dental procedure or routine checkup. These two factors keep many people from visiting the dentist. Fortunately, modern dentistry now has many ways to ease a patient’s fears and help relax them during treatments. 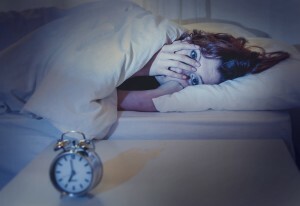 There are many people that deal with dental anxiety, a sensitive gag reflex or just fear of the dentist in general, and that’s where sleep dentistry comes in. IV sedation induces patients into a deep relaxation and a feeling of not feeling bothered about what’s going on. The drugs that are used for IV sedation produce either partial or full memory loss from the time it’s administered until it wears off. This will make it seem as if time is passing quickly. Patients won’t be able to recall much or anything at all. This is why it may seem as if you were asleep during the dental procedure. IV sedation kicks in right when it’s first administered and the drug dosage can be altered to fit each individual patient. A safe level of deep sedation can be reached with IV sedation, as where oral sedation and inhalation sedation can be unpredictable. IV sedation is safe and effective. Certain treatments can be performed at a fast pace and with fewer office visits with the help of IV sedation. With IV sedation, your gag reflex is greatly diminished. If you are using IV sedation for gag reflex, then your dentist may try inhalation sedation first. IV sedation allows patients to be conscious, while also relaxing them. This allows them to cooperate with the dentist instructions and be relaxed at the same time. Recovery time is typically shorter with IV sedation. This is mostly because the drug dosage can be tailored. Now that you’ve gotten a little more familiar with sleep dentistry, maybe you’ll be able to visit your dentist to get that much need dental procedure done. Don’t let your dental anxiety or sensitive gag reflex keep you from visiting the dentist. If you would like to learn more about IV sedation, contact Dr. Larry Lieberman, DDS at 727-785-8017 to schedule an appointment today. Or visit www.dentist-lieberman.com for additional information regarding sedation dentistry. This entry was posted in Sedation, Sleep Dentistry and tagged Dr. Larry Lieberman DDS, IV Sedation, Sedation Dentistry on July 21, 2016 by admin.